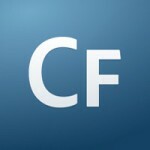 Here is a little piece of code that will do the same thing in ColdFusion, using CFHTTP. Bear in mind that you don’t need to use URLEncodedFormat() on the values in tags as CF will automatically encode them for you. Another thing to note here is that if you dont put random values in the utmcc variable, all your requests will be treated as the same visitor. So that bit is important if you want to treat each request separately. http://www.croan.ie says thanks for the information. I copy+pasted your code, updated it to reflect my GA account, I get a 200 response from Google- everything looks right, but nothing’s showing up in my GA reports- no hits/traffic. Any suggestions? Hi Mike, not sure what’s wrong. this same code works for me. Are you trying to look at the real time stats or the standard stats. The standard ones don’t show up immediately, although I am sure you know that already. I ran into the same issue. I ended up putting a packet sniffer to see what was getting sent to google and what was coming back. The problem with this example is when you use cfhttpparam with type url, coldfusion will use URLEncodedFormat on the value. In this scenario it encodes your account id and then google is unable to track it to your account. What would be the solution to this problem then? Thanks!! This seems to be working great. I am working on a PhoneGap app using their Build service which doesn’t support Plugins yet. The app does make calls to my web server (JSON gets returned to the app), and now I am seeing which “pages” are getting traffic in GA. Excellent. reducing this snippet down to a couple lines of code- now my PhoneGap app has Google Analytics tracking.. it’s just done on my server instead of from the app itself. I ran into the same problem, I could not use the cfhttpparam as it was url encoding certain parts of the variable string that should not be encoded. I had to manually put the variables into the URL encoding the parts that needed to be encoded.